I love The Dude. No need for a heart to heart, his heart’s in the right place. I would love to sit down and smoke a big, fat doobie with him. Hearing his take on the state of the world today would be so enjoyable and entertaining. 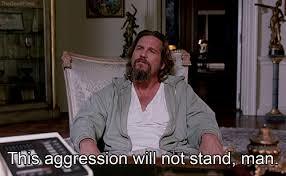 The Dude, is Love, pure love, man. He’s perplexed by aggression and hate. It would be an entertaining afternoon listening and laughing.